Flexible circuitry is frequently a one-way affair — we’ve seen bendy displays and touch layers, but rarely both in one surface. UC Berkeley is at last merging those two technologies through a plastic skin whose display reacts to touch. 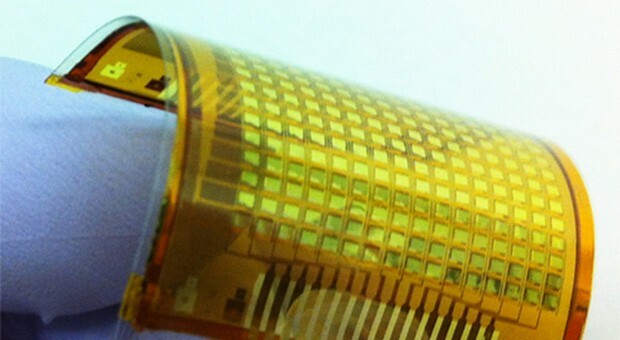 By curing a polymer on top of a silicon wafer, the school’s researchers found that they could unite a grid of pressure sensors with an OLED screen; they just had to remove the polymer to create a flexible skin. As the film-like material can be laminated on just about anything, it maylead to touch displays in places where they were previously impractical, or even very thin blood pressure sensors. It could also be easy to produce — since the skins use off-the-shelf chip manufacturing techniques, commercial products are well within reach. 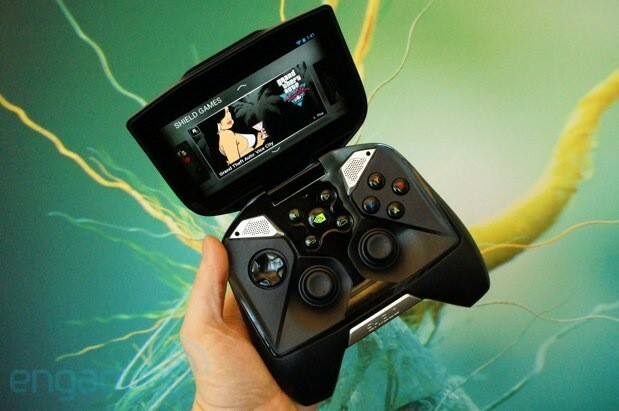 NVIDIA has confirmed that its upcoming Android gaming handheld, Shield, will start shipping on July 31st. The Tegra 4 testing platform was originally scheduled to hit online retailers in late June, but was delayed due to “a mechanical issue that relates to a third-party component.” Now, the company is writing to customers with pre-orders thanking them for their patience and assuring them the product will be on its way by the end of the month. The finalized ship date puts the product within its delayed July launch window by technicality, but due to the nature of snail mail, most buyers probably won’t receive their unit until after the first of August. Frustrating for eager buyers perhaps, but at least NVIDIA’s email strikes an apologetic tone — assuring customers that the delay was a quality assurance measure. Can’t wait until the end of the month? Check out our hands-on with the final hardware right here. Didn’t pre-order? You’ll find the company’s official statement after the break. Urine and cellphones don’t mix — just ask anyone who has ever dropped their phone in the toilet. At least that’s what we thought before learning that a team of UK scientists has created the world’s first pee-powered cellphone, which is based on microbial fuel cells. In other renewable energy news, the Peruvian government is providing free electricity to over 2 million of its poorest citizens by harvesting energy from the sun, and China just became the world’s first country to install 3 GW of utility-scale solar. Wind power is also on the rise as CalTech researcher John Dabiri figured out a way to make cheaper, more efficient wind farms inspired by schools of fish, and construction began this week on the world’s largest offshore wind farm on the Fukushima coast. 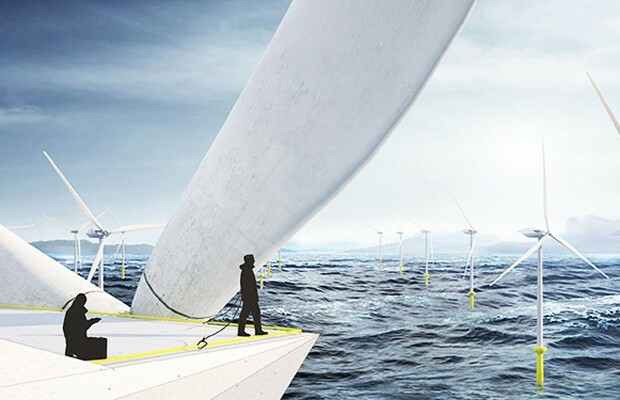 And in an unusual paring of renewable energy and architecture, Morphocode has designed a futuristic-looking loft that is nestled on top of an offshore wind turbine. Hasselblad’s strategy of sprucing up Sony cameras must be paying off — that would explain Photo Rumors‘ apparent leak of the Stellar, a Hasselblad take on the RX100. The already high-end compact cam will reportedly switch to a tan metallic body and offer several choices of exotic grip material, including carbon fiber and padouk wood. There’s no mention of functional upgrades over the Sony original, though. As with the Lunar, we’re more likely to see a price hike instead — Photo Rumors claims the Stellar should launch on July 26th for between $1,600 to $3,200, which would limit it to particularly well-heeled photographers. This entry was posted on July 21, 2013, 5:38 pm and is filed under Mobility. You can follow any responses to this entry through RSS 2.0. Both comments and pings are currently closed.